This year's Distinguished Service Award goes to Laura Kaub of Yale’s Young African Scholar Program. 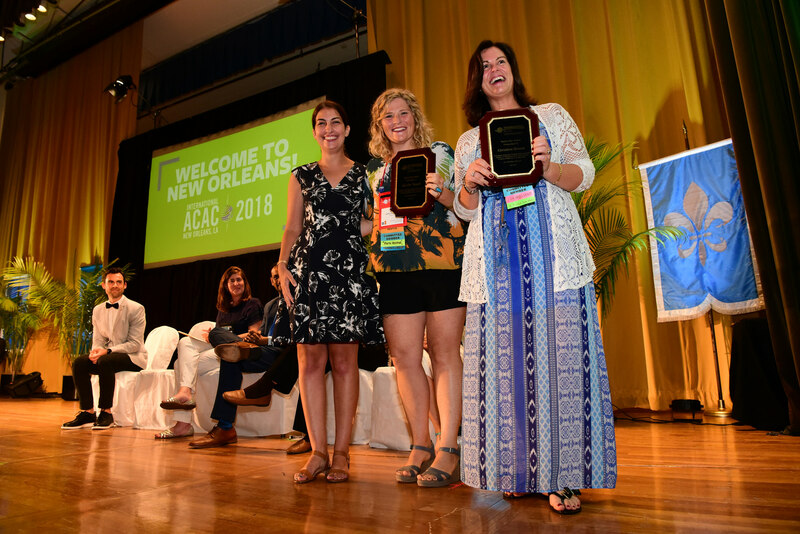 Laura writes, “What a wonderful surprise and honor it was to receive the Int’l ACAC Distinguished Service Award in New Orleans this year! (And many people asked me about this afterward, so I want to confirm: I had no warning whatsoever!) Words really cannot convey the pride I feel to join the company of past recipients such as Joan Liu, Rosa Moreno, and Bridget Herrera. I’m not sure whether I am paraphrasing someone famous or just quoting a wise friend, but I recall hearing somewhere that ‘true success is recognition from one’s peers’. This idea really resonates with me now. Listening to so many kind words written by my colleagues—especially when spoken by my long-time friend and colleague Johanna Fishbein—is a moment I’ll always treasure. Truly, it is a gift to discover that people whose work I respect so deeply place value on my efforts in return. Last but certainly not least, International ACAC Past-President Ray Marx received the Peter Hauet Lifetime Achievement Award. 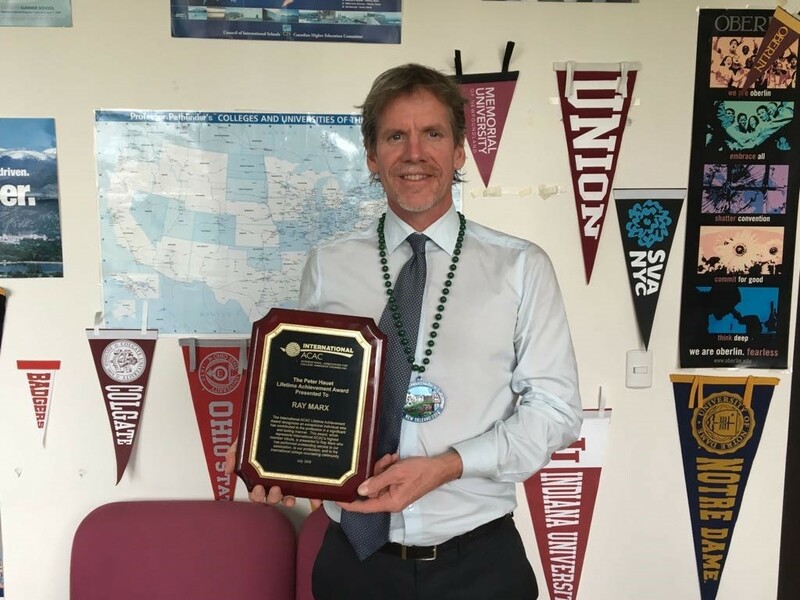 Ray writes, “Receiving the Peter Hauet Lifetime Achievement Award was a humbling experience. It is an honor to be recognized by peers, but it also serves as a reminder about all the amazing work being done on a daily basis by so many of our members. To be part of an international organization of this caliber is what is truly special to me. Reflecting back, OACAC, now International ACAC, has been the backbone for my professional growth. My first conference was at Brown University and I had yet to spend a single day as a college counselor when I attended. It was a small and intimate gathering where everyone seemed to know the names of their colleagues’ pets, and despite the fact that I barely knew what the acronym OACAC stood for, it was obvious that people were there to support each other and of course international students. Seasoned veterans, aka the “old guard”, and leaders in the organization took me under their wings and unselfishly volunteered their time and advice during those initial 2 days, and thereafter, to help me become a more knowledgeable professional. Since that first conference, OACAC/Intl ACAC has seen exponential growth. Watching the evolution of this organization has been one of the most rewarding pieces for me over the past twenty years. I give a lot of credit to the International ACAC leadership and how they have managed and handled growth, adversity, and most important, fellowship. The remarkable vision towards the future is still balanced by the warmth of our members and when you attend the summer conference you witness this firsthand, from the volunteers to the sessions to the networking and dialogue - every element speaks to the progress we continue to make as an organization. In New Orleans we listened to and witnessed members who advocated for more access and inclusion, on many levels, and it was encouraging to hear about the steps being taken to address this as we move forward together. This is what it means to be part of our member driven organization: to listen to the people who literally span the globe and who have ideas to make our organization the best it can be, and then act on these ideas. 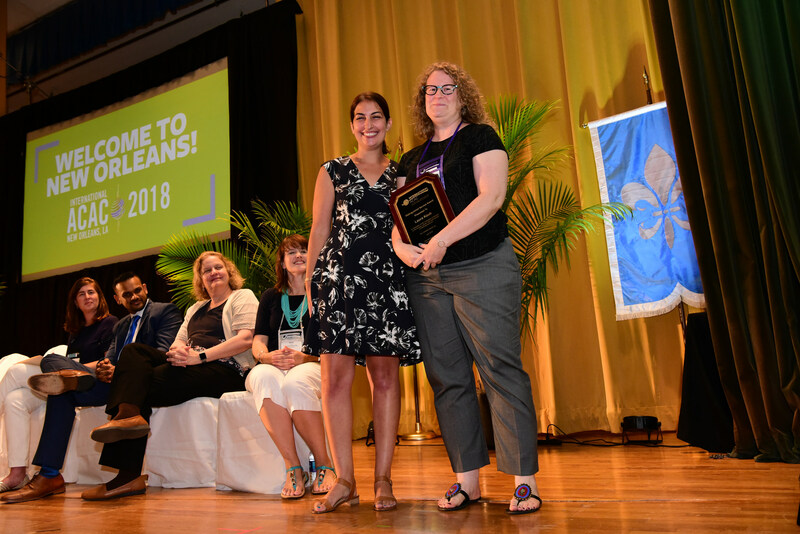 Comments on "2018 Association Annual Award Winners: In Their Words"